These boots are a big reason why I’ve been able to get outside and stay there. Armed with these leather beauties and wool socks, I’m confident when taking on any weather. This made the most difference in college when I was on my own for the first time ever. I didn’t have my parents around to fix everything, but they made sure I was prepared. The boots are about a half size too small, but — and yes, I’m a big ol’ softie — that just made them feel even more like a hug from two of the most important people in my life. While wearing these, I’ve blazed my own trails through the lush, green Appalachian Mountains, gone on countless family camping vacations, and fled for my life away from a (probably) rabid squirrel. I’ve laughed, learned, and thrived with family and friends. Some of the happiest times of my life, like a trip to Seneca Rocks with my dad and siblings, have been spent with these things strapped to my feet. And I wouldn’t have it any other way. 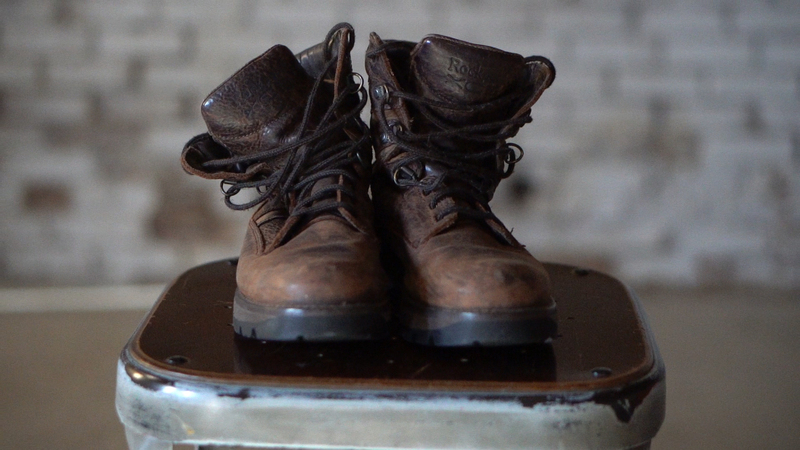 These boots are made by Rockport with Vibram soles and Gore-Tex. That means high-quality grip and durability. I’d expect nothing less of my parents, who would check Consumer Reports when buying a toothbrush. Unfortunately for the rest of you, my mom got these boots back in 2003, and they’re no longer on the market. I feel lucky and loved. One of the best things about these is that the leather uppers are a nice, dark shade of brown — no pink or purple ugliness here. My momma’s got taste. I hope her granddaughter likes them.